It was another hot and sunny day today, with no rain in Baton Rouge. We did have some thunder late this afternoon but no rain. High was 93 in Baker. We are so blessed to have the window air conditioners at Richard’s house. Dave brought our devotion this morning reminding us it’s not what talent we possess but what we do with it that matters. We often consider ourselves unqualified but Moses also considered himself poorly equipped, Exodus 4:10. If we yield our gifts, great or small, to God we can become an important part of His work on earth. Always remember that God doesn’t call the equipped. He equips the called. 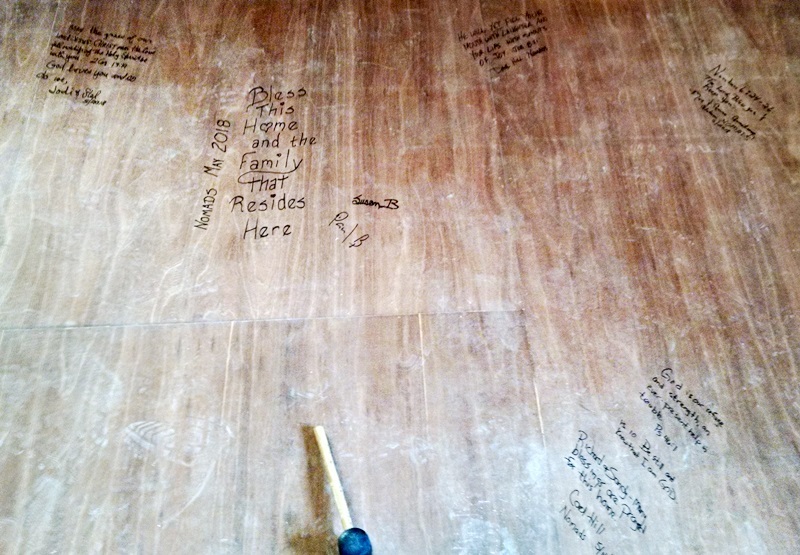 When we first arrived at Richards house this morning, we all wrote some scripture and messages on the underlayment, before we started installing the flooring. Then we moved all the insulation that will be installed under the house and wrapped it in a tarp under the house so that the hot water heater can be installed in the kitchen closet/pantry. 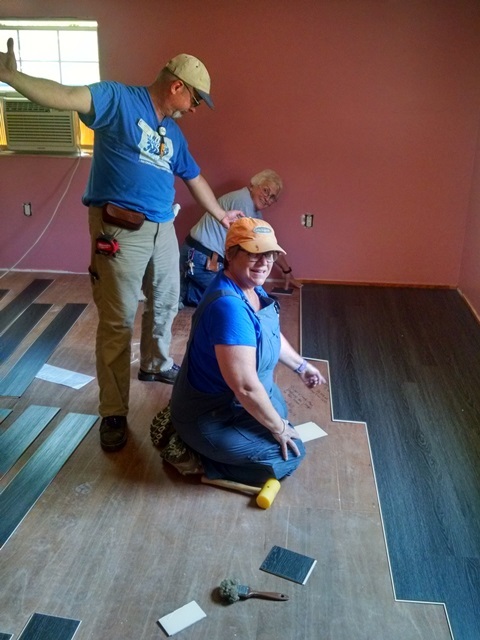 Stel, Lisa, Max and Anne worked on the laminate starting in bedroom one. The bedroom flooring is now complete, the closet is almost complete and the bathroom is started. However, we hit a snag there when we removed the toilet. 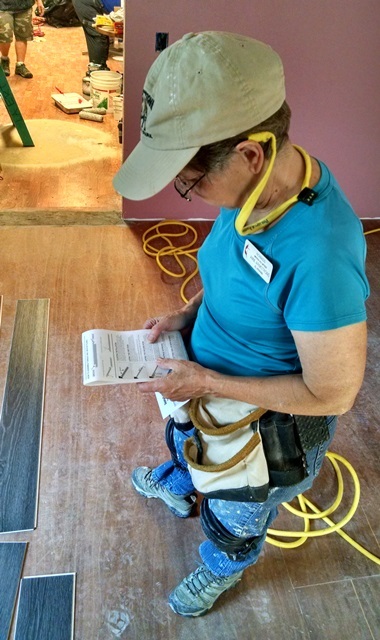 The floor has been wet and needs some repair due to rot of the subfloor. 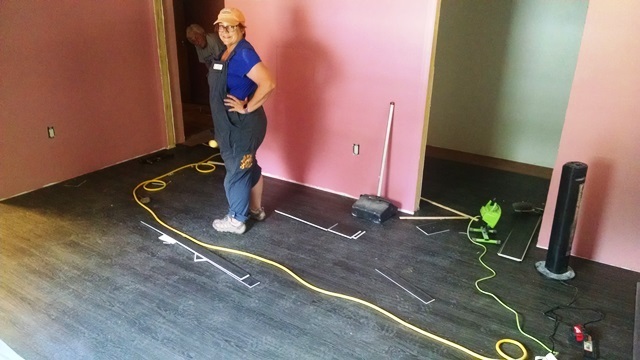 We will start on that repair first thing tomorrow, and then return to the installation of the flooring. 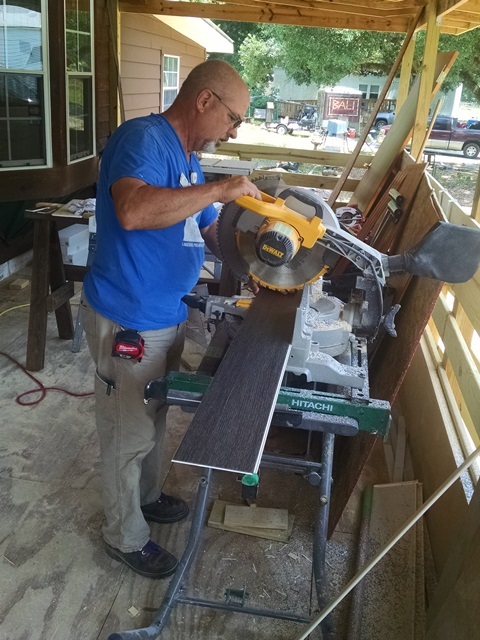 Dave did a lot of the sawing for us today. 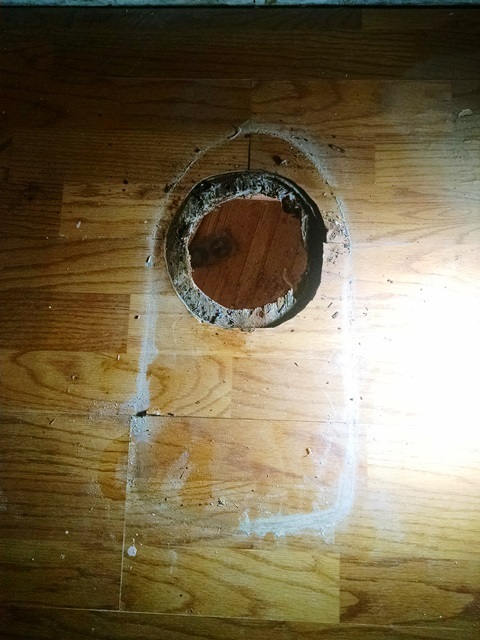 Rotted subfloor under the toilet slowed us up in the bathroom. 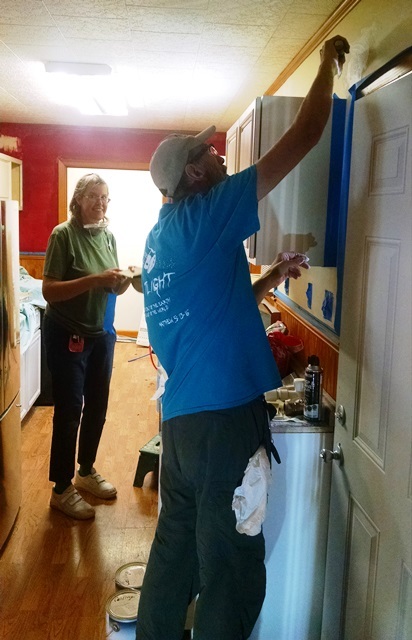 Carol, Paul, Susan, and Mark all worked on painting in bedroom two and closet and bath as well as the kitchen. They made a lot of progress. 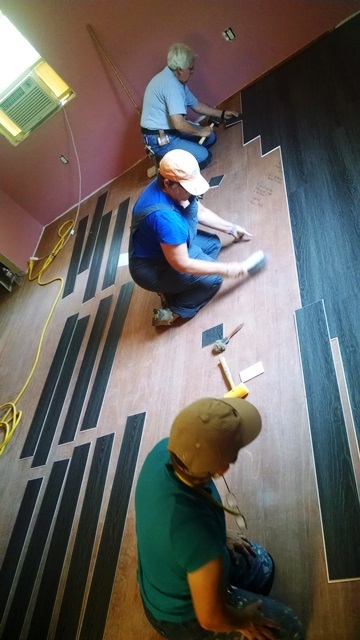 The west wing is not yet ready for flooring but it is moving forward. Maybe by the end of the day tomorrow. 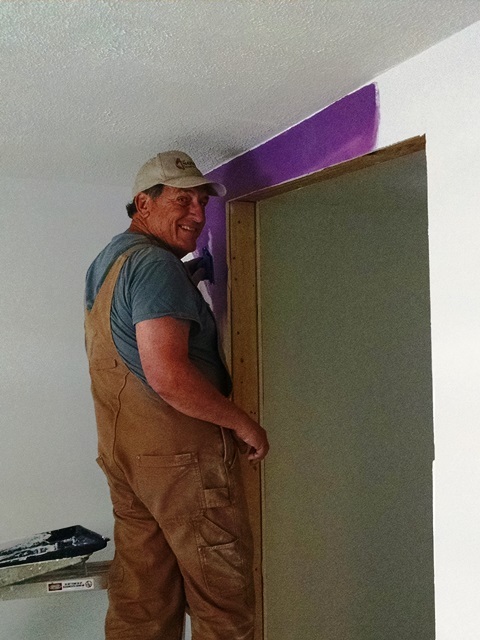 Carol also painted the window trim. Hopefully the plumber will be there soon to get bathroom 2 plumbed. He also still needs to install the water heater. A lot was accomplished today and there we no injuries. It was a good day.